Dental health is an incredibly important part of your pet’s overall health. By age three, 70-80% of pets will begin showing symptoms of periodontal disease. It is important to address periodontal disease as soon as possible to avoid other possible health issues from arising. The excessive bacteria from the mouth can affect your pet's entire organ system due to being absorbed into the bloodstream. 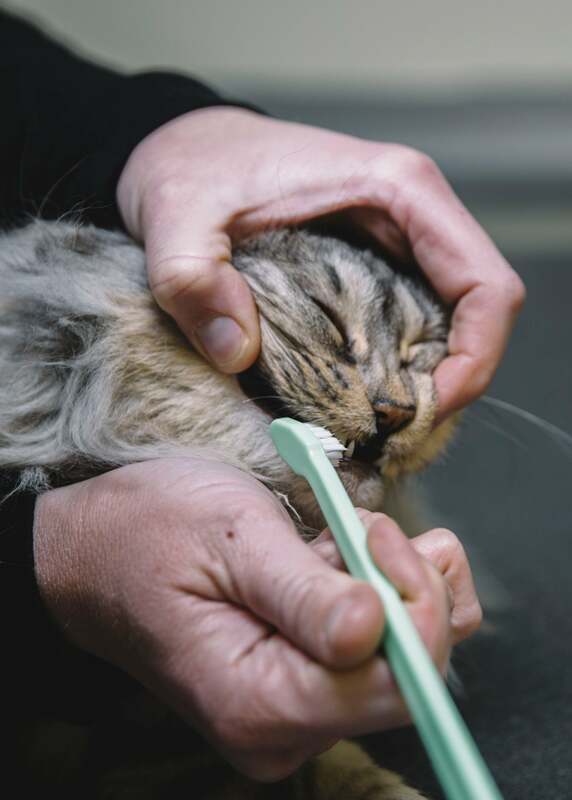 Your veterinarian will advise when it is time for a professional dental cleaning, which is very similar to what happens at our own dentist visits. Your pet will be given an in-depth physical examination then placed under anesthesia, digital dental radiographs will be taken to address any possible issues underneath the gum-line, and a thorough ultrasonic cleaning of the crown and underneath the gum-line will be performed, finished by polishing. Occasionally after your pet's physical exam and dental radiographs issues will be found. Depending on the severity of these issues, dental extractions will need to be done to optimize your pet's health and to remove sources of pain. Our veterinary team strives to provide the best care possible and only performs extractions when absolutely necessary for your pet's wellbeing. The staff at Nicholasville Road Animal Hospital is also happy to guide you in the right direction for future at home dental care after your pet's dental cleaning. If you have any questions or concerns, please speak to any of our staff and we will be more than happy to guide you in the right direction.